Dr. Glaser wants to remind Westchester County NY patients of the importance of mouthwash and other dental hygiene products when living with braces. Often times, many patients seem to neglect the use of floss products due to their difficulties with fitting it between braces. However, floss and mouthwash are still very important. Many people use mouthwash only occasionally, specifically to mask bad breath. They swig a capful after they’ve eaten food with garlic, for example, swirl it around their mouth for a few seconds and spit it out. But mouthwash shouldn’t be used merely for social acceptability, says Dr. Glaser. It should be part of a regimen of good oral hygiene in Westchester County NY. An antiseptic dental rinse can help minor gum inflammations and irritations from orthodontic appliances. It can also promote natural healing of canker sores, minor wounds and other mouth and gum irritations by removing debris. Mouthwash, ADA approved antibacterial ones especially, reduce the bacterial count and stop bacterial activity in dental plaque, which can cause gingivitis, an early, reversible form of periodontal (gum) disease. Dr. Glaser and his team recommend consistent use of mouthwashes, twice daily for best results, in Peekskill NY. 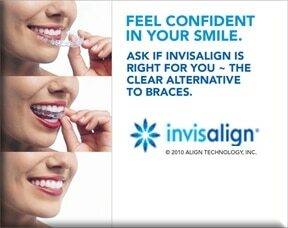 For more information contact the Glaser Orthodontics offices at (914) 739-6400.